The first pillar of wisdom: wise knowledge - Wisdom, sleeping..
​The first pillar of wisdom is "wise knowledge" an intelligent, living view of the world - of the way things are and the way they should be - in a mind who understands being a part of this world. The representation of such people-centred views of the world is transmitted and preserved as knowledge about wisdom. Wise knowledge is a sum of understanding oneself, the world and people, from the point of view of people, in human terms and in the interest of people. A wise world-view teaches us how be humanists, meaning by that: centred on serving humanity. The opposite of this is to see the world from the dry point of view of ideas, faiths, money, machines and other detached perspectives. I see wise knowledge as an emanation and a distinct part from the vastness of human knowledge; a specialised world-map, not separated from or rejecting other accounts of the world but a deliberate selection, ordering and interpretation of all we know, with the dedicated purpose to help us - individual persons first of all - to live well, a fulfilled life, the best we can reach in the times and conditions where we live. Imagine wise knowledge, it if you like, as an old-time map, showing that which is important to know, understand and visit, showing the itineraries, dangers and valuable places - to help us live safely and well our bounded voyage of life. The itinerary of understanding called wise knowledge starts with knowing and bettering ourselves - and the ways in which we know - before changing other people, History, Society, the World or the Universe. Before all, we must examine and master the knowers - us. We gain freedom to think and act by understanding that we think in the categories and by the ways of our brain and languages, in human terms, as living beings with biological, psychological and logical determinations. Our higher needs appear to us as values. Humanism is species-ist and growingly bio-ist, life-ist, representing the priorities of the living to which we belong. Wise knowledge serves, more pointedly, human identity, meaning and interest - preserving and expanding the life of generations, "happiness", worthy, meaningful life and well-being for lineages of living persons: abundance, peace, cooperation, freedom, achievement, generosity, tolerance, beauty, mutual respect, a life well lived... and the like. No abstract and absolute "truth" or theory of social, "natural", cosmic, rational, scientific or religious value or future imagined promise should come as wise, at the expense of a good, generous, dignified, irreplaceable life for present day people and of their children. To generate wise knowledge we need to understand and interpret our surrounding world, the available knowledge about the world, the way things are, with a bias for human characteristics and welfare. This view of the world includes first of all, at the core, knowing ourselves - the everyday knower and doer - and other coexisting people; that is, "thinking and feeling people". Condescension and neglect towards such "folk psychology" of common sense, everyday knowledge and thought (including its common places and prejudices) is stupid rather than wise. Because ultimately we all live in it and by it. All wisdom inquiry is pursued from the human interest point of view, in human terms and forms usable by persons, not from some supra human position, be it divine command or scientific description. Concerning form, I believe that "wise knowledge" can best be usefully described and communicated in narratives, examples, images, meaningful activities, statements, terms and ideas that make sense to those concerned, familiar to their life-world, showing understandable, convincing and even compelling ways of living better. Wise words are wise indeed when they are well enough conceived to come simple enough to be understood by everyday people and when they advise towards their understandable interest. Alas, it is still not easy to agree which knowledge and advice constitutes wisdom in general. Wisdom is not of the generalised universal kind. Is wisdom Truth and nothing else? No! How complete, how absolute, how pure, how secure must knowledge be to constitute wisdom? What grants it? To avoid the dangers of going astray from Reason and Reality, mainstream scholars carefully educated in the faith of Science still work today to limit wise knowledge to justified beliefs (that is the very rational-scientific definition of "knowledge) - the ones obtained empirically from structured experience, expressed in explicit notions, elaborated by correct operations of logical thinking, verified and verifiable by everybody through repeated experiment and measure, at least accessible to observation; thus, from this experimental point of view, wisdom is truth and (important) truth is wisdom. You may sense that the second part, "important truth is wisdom" is a very questionable generalization. Important for whom? For what? From the materialist and Objective Truth-angle, the wisdom of the fools, poets, doubters, mystics and visionaries – and certainly the wisdom of believers in supra-natural planes of faith - is unwelcome. And so is the everyday, commonsense wisdom of common people. What you cannot see and touch and measure and prove material by proper deduction or statistically valid induction, cannot exist or at least does not count. The believer in justified belief is justified to look the other way. The contribution of Religion, Art, poetry and unexplained intuition, the creative force of unruly human imagination, the vague remembrances of History, even moral thought(which is immaterial), do not qualify. Subjects like freedom of choice, beauty, human rights, conscience and consciousness, personhood, identity, dignity... or ignorance, are not good enough to be subjects of psychology, in fact they remain invisible to behavioural research or neuroscience. For some scientists they do not even exist as real! With this vision of reality, to take an impertinent example, the negative Socratic wisdom - the first one - which consists in considering how ignorant we are and will ever be is thoroughly ignored. Even while scientists are proud to be aware that they will never know enough and with absolute certainty. People who start on this path, are often at loss to find anything special or different about a quality of knowledge called wisdom; some will admit that it is knowledge of deeper or higher – more abstract or general - truth; others, more practical, claim modestly that wisdom is some kind of know-how, technique, expertise, expert knowledge about important domains of human life. They may be right all of them, what do I know? One thing I do observe is that such definitions did not help me personally advance my quest to find ways for people to grow wiser. Dissection does not help wisdom to grow. What common people think or are convinced they know, the shared view of the World, the common knowledge we are made of, the way our mind actually works, is still shunned by serious scientists as "folklore", as biased, unchecked, uncritical, superficial popular ideas and biases in need to be corrected, eliminated and replaced with exact, methodical computer-friendly knowledge. The final amplification to absurdity coming from this is transhumanism, correcting and ultimately replacing humanity with big data computers and algorithms. With these scholars, one thing is crystal-clear - for good reason of Method; it is inconceivable that something could be stumbled-upon, obtained by uneducated intuition and "gut" or even worse - imaginary, emotional, wishful, entirely made-up, willed, established by convention, purposefully invented and artificial, not given, impossible to know for certain and still wise. The observation that some unproven beliefs were proven effective to change a person's or many persons' life, to create nations and history does not count. Let me ask: why not? Certainly, scientifically correct, impersonal truth is reliable and seemingly universal and such knowledge proved to be mighty for humanity's advance in several domains. Compared, wisdom is rather - and mainly - personal, local, addressed to persons who make it theirs. I claim that this is what grants its value; wise knowledge is observed to be and must be, understandable to people; since people do not exist in general, as a collective abstract giant, wise knowledge must care for individual people and thus it takes sides; objectivity and its indifference are incontestable values but they are not granting wisdom. In some cases, important scientific truths - established and applied but not understood in their significance for human beings (and Humanity as a whole) are not yet wisdom; in many cases they will never be as they ignore the interest of humankind. I propose - and I find that I am not alone - that the truth criterion unaided is not adequate to recognize wisdom; there is little wisdom in a sky-high pyramid of true sensations, signals, information, data, strict descriptions and explanation of things in themselves, elaborate knowledge, even in the total of the huge progress of knowledge available to our society. My quest to make wisdom understandable and accessible to myself and to other people leads me to claim that wise knowledge is created or found in-and-by a persons-centred point of view from which sages look at the world and interpret all knowledge, be it about the world at large or about people; the generator of wisdom is the constant angle of that which is meaningful and valuable for the human being, the person unique by saying "I", who takes initiative, in a quest of fully human, better, happier life. Besides the indisputed desirability of truth, the wise point of view includes as essential criteria other man-made values of equal or occasionally higher priority; preserving life, not harming, happiness, fairness, freedom, compassion, dignity, respect, responsibility towards the human being and human well being. A whole host of non-scientific, often competing values, irrelevant to the pure rule of materialism and rationalism. An interpretation meaningful from the point of view of human understanding and human relevance is the key to wisdom, the tool to judge quickly if some interpretation is from the domain of wisdom or not. “What does this mean for people?" "Is this understandable and actionable?" "Is this considering people as they are? Does this take persons and their situation into account? Does this serve the living and their children?" If not, without denying other respectable values, the knowledge at hand is not wisdom. With all my respect! From the total of information, data, fact, explanations, theories which constitute knowledge on Earth, the wise one is indeed a "biased", soft-hearted part. How does this relate to me, to who I am, to what is important to me? How does this count to people around me, to where we are? What does this mean for me, for us, for the other? How to make it understandable for me and receivable from other points of view, so that we all can judge? How, if needed, to make it as simple as possible (but not simpler than that)? What will this thing do to me, to us, now and later, what should we hope or beware and do about this? Wise knowledge comes from the shared and self-interested choice that all the human means and activities and values serve one ultimate end – human life and well-being. The survival of living nature and the persistence of the Universe is our own interest. My reserve is that the “well-being” and interest so announced must be of the actual people concerned, living persons and actual generations, not of abstract Nature, Society in general or the imagined future history, grand principles or the like; that distant well-being proved to be evil Utopia and a lie too many times. Our knowledge, resources, science, technology, work, power, achievement, truth, faith, justice, beauty, all these ideals, institutions, means and methods, are human tools; they serve a final mission – persons living well, each fulfilling in their limited turn of life in a civilized human condition of the level we achieved in our own times. We are not "forces" means and pawns and fodder to serve ideals and fields of human endeavour, historic "processes of progress" or divine purposes; on the contrary, knowledge, technology, ideas, society itself, were invented, built and made by the like of us to serve us, to make us better. In the company of humans, man is the measure of all things we understand and do. Geniuses who forget this are fools. They lost the common touch. The chronicle of understanding the world and us with such an attitude and the offering of advice with such an aim, form the wise knowledge - a scattered treasury of people centred understanding - a perennial wisdom of the ages. This is what I understand by wise knowledge, a first pillar of wisdom. This is how I try to differentiate wise knowledge - concerned with people - from unattached, "universal, abstract, unowned, disinterested and critically purified" knowledge - concerned with some theoretical or ideological aim. Wisdom" indifferent towards living persons may be abstraction immensely valuable on the altar of Truth, Spiritual elevation and Technical progress but it will tend to neglect with a blind eye the human face of Planet Earth. It is generally accepted that judicious knowledge can be found mainly in the form of wise words: there is wisdom in books and in oral memories of the cultures, in ideas conceived by the best minds of history. The historic records of "wise" comprehension formulated; thoughts about wisdom or containing wisdom, created a dispersed multitude of experience understood, to be passed on, hopefully a growing one. Those wise words of generations past interpret us, human nature, how the human-related world actually is, within our Terrestrial bubble, and how our world works. Wise knowledge is about what appears to be important, conducive to "happiness" and to lives worth living, fulfilled, satisfactory for us people, enviable and admirable for those around us or posterior to us. Wise knowledge is also about whatever is instrumental in achieving these final aims of wisdom and avoiding the contrary. Such accumulated learning, hints to desirable life-paths and ideals, warns of the ever reoccurring traps, waste and errors already known, weaknesses, dangers and false paths individuals and Humanity had trodden in the past, which persist - seemingly forever - because they appear to stem from the limitations of human nature. Human nature, be it our animal heritage or the paradoxical condition of its coexistence with social life and thinking - our cultural nature, seems to me to change so slow that we can count on it as if forever the same. The worst of anti-wisdom - hubris, hate, greed, fanaticism, violence - seem to eternally return with no historic improvement, in fact strengthened and amplified by disproportionate means. Perhaps, better guided by wise knowledge of the past, persons, families, communities and nations may learn to avoid doing the same errors and mad crimes in spite of the same drives always present. Because for the past ten thousand years – about our whole “History” - human nature and the human condition stemming from it changed so little in spite of huge advance in means and in knowledge, much of old wisdom learned preserves its life value and is worth rediscovering perpetually. This makes the study of classical culture inestimable. Unfortunately, Enlightenment, so admirable in its struggle to free reason and human dignity from past shackles of authoritarian obscurity - unintendedly but destructively - devalued tradition and common sense, the authoritative witnesses of the past, as if they were made obsolete by irreversible progress and better method. Those great but imprudent spirits of awakening, decided that the past remains somewhere lower, behind, and cannot come back; this is false, in fact it can, in new cloth. They made people believe naively that History is one-way and the future is entirely different when it is not. It may be never the same water flowing but it is still water. And it is still us. As a result, perhaps, instead of accumulating in some orderly way, old wisdom keeps being scattered, shrugged off, buried and rediscovered as if it were new by each generation, at its own expense. Unfortunately, past wisdom sleeps, only half-alive; it can be forgotten and lost, mocked or misunderstood, so that we keep repeating foolishly the same old journey. The genius of a Buddha would call this Samsara. Where is the Cumulative World Wisdom Project to complete the Human Genome with some chromosomes of accumulated progress in wisdom? Insufficient funds? No profit? Too many owners of ultimate truth and end-of-history delusion? Most of the wise words preserved, sleep in books and in popular memories of tradition while the simple old key to producing and of deciphering wisdom - the wise way of looking at the world - appears to be handed over mainly person to person. Wise ways of thinking are transmitted by means of apprenticeship, word of mouth and example. This is in sharp contradiction with the industrial canning and mass diffusion of standardised knowledge and mass education. Some wise knowledge comes back to life now and then, in people who read, listen, understand and apply the experiences and the comprehension of times past to their particular life. I mention "coming to life" because - while explanations can be written - understanding only becomes true as a state of mind, a living, personal insight. Sages of the day, discern, age after age, anew, the pinnacle value of the human-centred point of view and finality. Armed with this simple key-to-wisdom they comprehend, appreciate and learn assiduously from the sources of the past and present, from the experiences of other people and from their own; they assimilate rich wise knowledge and we call their erudition, their way of interpreting the world, wise. Is knowing wisdom sufficient to live a good life? Wise knowledge accumulated and its' civilised view of the World cannot be all we need to consider about wisdom. We cannot stop here, satisfied with the one pillar of experienced, humane erudition. Wisdom, conceived as a theory, a truth or a knowledge as if final, for its own sake, does - as they say about money - not bring happiness; on the contrary. It may even prevent happiness. This was an elementary but important thing for me to understand, in my turn, after so many people who understood it before me: I can discover great humanistic culture, learn, comprehend and communicate deep human truth and still behave and live like a fool. The knowledge of wisdom can coexist and does coexist with foolishness and stupidity. Even worse, knowledge can amplify the impact of foolishness; one can think right, precisely, with method, with excellent knowledge of reality and so better lead other people into big error and miserable life. One thing is to possess much wisdom, another to make good use of it when you think practice. High culture and deep humanity in understanding, can dream away, distracted throughout one’s life, sterile and idle like dusty, never opened coffers. Or, be used poorly, with dried out, utopian intelligence, flying too high, abstracted, dogmatic, distant and uninterested to fit the life-situations of mere people whose existence could be improved. Curiously, some knowers of wisdom fail even to examine their own life. The paradox of King Solomon wise in words, foolish in his life, is well known. 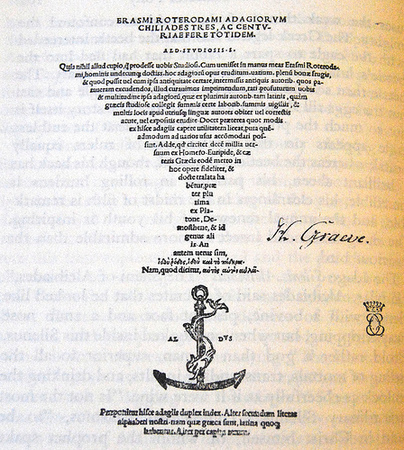 Admirable, creative, charming erudites, can be unbelievably out of touch – that is stupid, in their practical judgement and in their simplest actions; like Plato’s philosophic geometer Thales (in Thaetetus) tumbling one night into a well while examining in the sky the stars so familiar to him*. Wisdom distilled in bright maxims of essential understanding is one thing: live thinking with good sense is quite another world - another pillar of successful life.